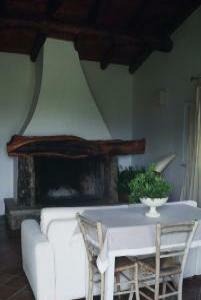 close to Porto Rotondo and Porto Cervo,and only 18 km from Olbia. macchia, going up on the Cugnana lagoon. Living room: Sofabed, dining area, tv,dvd. cleaner, iron and ironing board .Car-parking area. like to make a reservation.